I believe it is Albert Roussel. Who is it little augury? Today I received an e-mail from Amazon-UK filled with Mitford biographies and such. 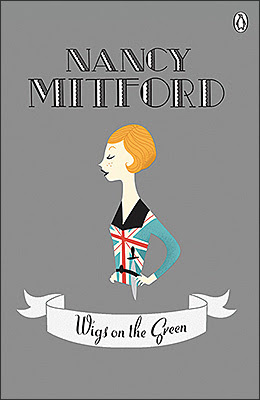 Then, Megan Wilson at My Book Covers (also Ancient Industries) posted several Mitford covers. 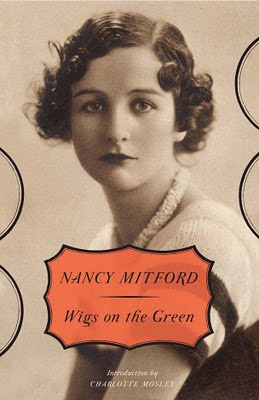 Both Pigtown Design and Mrs. Trefusis Takes A Taxi went gaga over the new Lab Partners covers for the Penguin UK re-issues of Nancy Mitford's novels. Well, I just can't take much more. Well of course I can.... We do love those pesky Mitfords. Little Augury has no idea! and I wondered too. I am sure Megan knows-she just doesn't say in these posts! I love her Mitford covers, and I am tempted to get them all. Not so fond of the Penguin ones, are you- though I will get the one youve shown here since it is just in reprint for first time. Hope someone knows the answer. Reggie? HOBAC? Rosie? Check that-I see Megan's cover is the same Wigs on the Green-that's Mine! 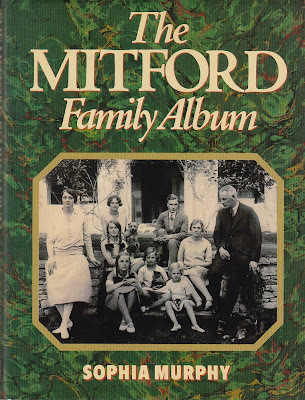 I have a copy of the Mitford Family Album that I bought in England more than 20 years ago, and which I have spent many an hour poring over, many times. It is a marvelous resource for those of us who have a decided weakness for those remarkable ladies. 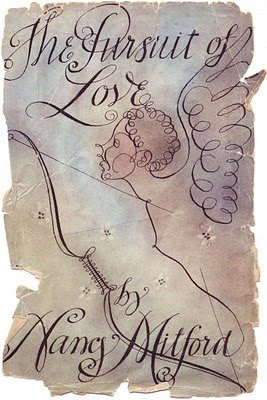 The Mitford Family Album is rather lust-inducing - it is a gap in my collection! I suppose it fetches a fortune on abebooks? check Ancient Industries current post- another in the very same mode and she sites likely by Roger Furse on that one-it must be the same. Let me know what you think? little augury: I am good with Roger Furse! Maybe Roussel did the American cover, I think it is different, but then I have never been a collector of Mitford 1st Editions, just bios. Water: Mitford Family Album has been going up in price, but every once in a while an inexpensive copy pops up.